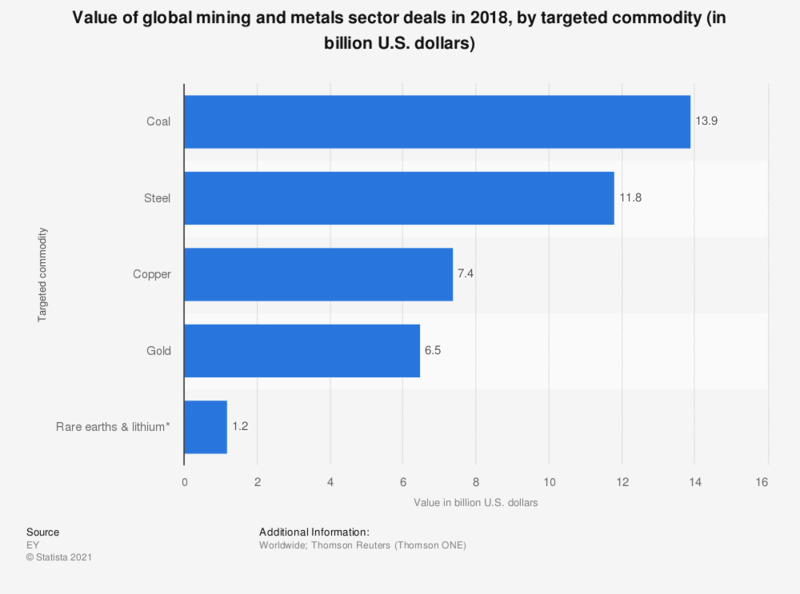 This statistic depicts the value of global mining and metals sector deals in 2017, by targeted commodity. In that year, deals regarding steel were worth some 13.3 billion U.S. dollars. That made steel ranked first among the top targeted commodities in 2017.